delved into joint programs between Israelis and Palestinians. Their frank and compelling conversation covered a range of issues, including the shortcomings and successes of people-to-people peace building programs, and how those who organize these activities can do so in a way that truly makes a difference on the ground. to all four of the featured speakers. These experts were well received by the symposium attendees, an audience of several hundred collectively searching for possibilities for peace in Palestine and Israel. 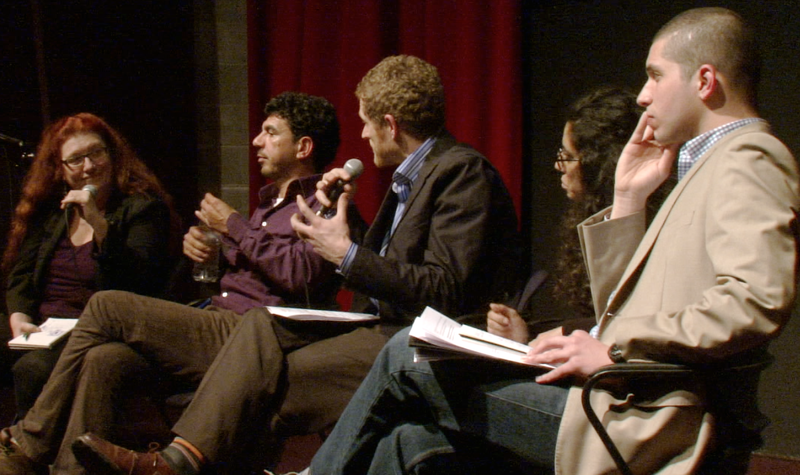 While some audience members had clear and firm views on the conflict, most arrived at this event with complex, even conflicted positions on peace; many were in favour of peace building efforts, but committed to learning more about how to bring Palestinians and Israelis together in a way that does not ‘normalize’ the status quo. In many ways these individuals bridge an increasingly vast gap between those who think dialogue is essential, and those who think it is ineffectual or even part of the problem. In short, many came to this symposium struggling with peace. This symposium was not intended to ‘solve’ the very important questions facing peace-building practitioners working within the context of the Israeli-Palestinian conflict, nor was it an 'anti-anti-normalization' event. 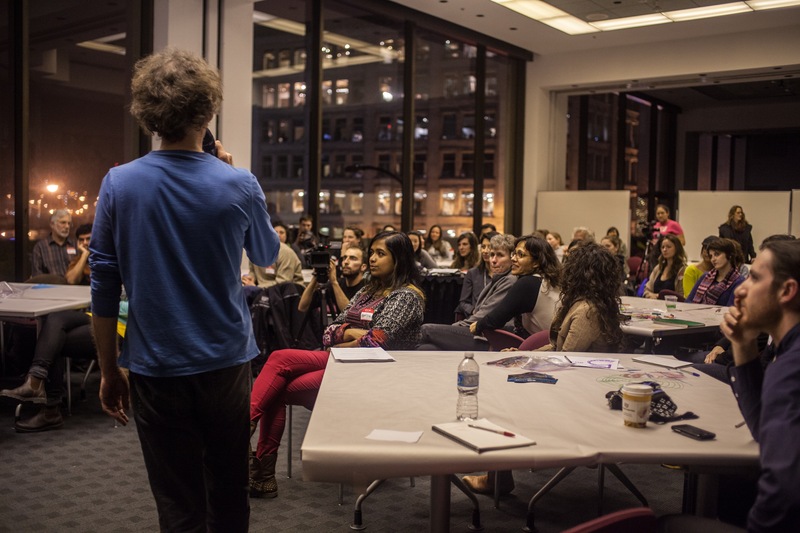 Rather, it was meant to create safe and reflexive spaces to explore these issues seriously and creatively, and provide guidance to organizations like ours, who aim to offer programs that are meaningful, impactful, ethical and worthwhile. Peace it Together has already begun to translate the common themes that emerged during this symposium into priorities that will guide our organization and our programming going forward. We hope that these posts will help us to further engage with other peace-building practitioners, participants, supporters, critics, and allies in even deeper conversations about implementing more ethical and effective programs. As we all continue to explore these issues, we hope that the content of this symposium (and the blogs to follow) serve as an accessible entry point into very important conversations about peace building in Israel and Palestine, and elsewhere ....conversations we intend on being a part of for a long time to come. 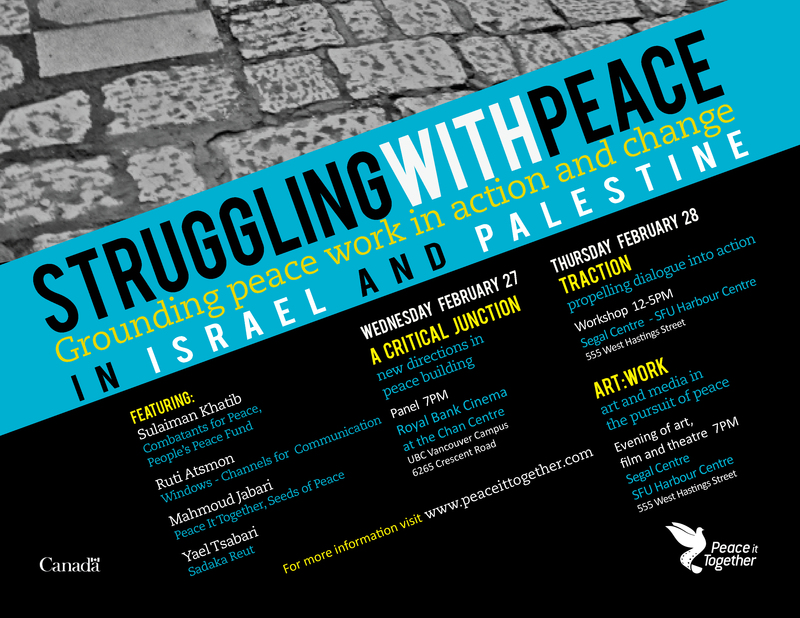 For more information about the Struggling with Peace symposium, go to our Events page. Were you at Struggling with Peace? What did you think about what you heard? What do you think about what was said at this symposium? How do you structure your programs in the most ethical and impactful way?